An outbreak of mild gastroenteritis due to enteropathogenic Escherichia coli 0128: B12 developed in a complex of university hospital nurseries. At least 24 infants were infected with the strain in the 22 days between admission of the index case and initiation of measures to control the outbreak. There were no deaths, disease was mild, and clinically inapparent infection was frequently found. 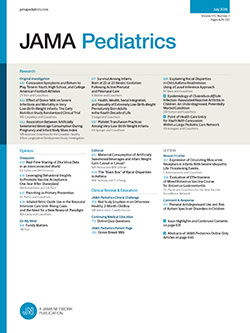 The outbreak abated abruptly after institution of strict aseptic technique, temporary reorganization of the nurseries, and administration of neomycin sulfate to all infants from the newborn nursery in the epidemic cohort.